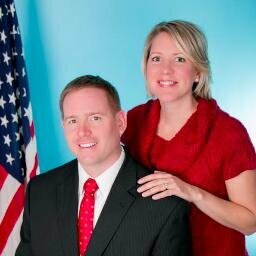 First Congressional District activist plants tongue firmly in cheek, and ..
With a boot to the rear. 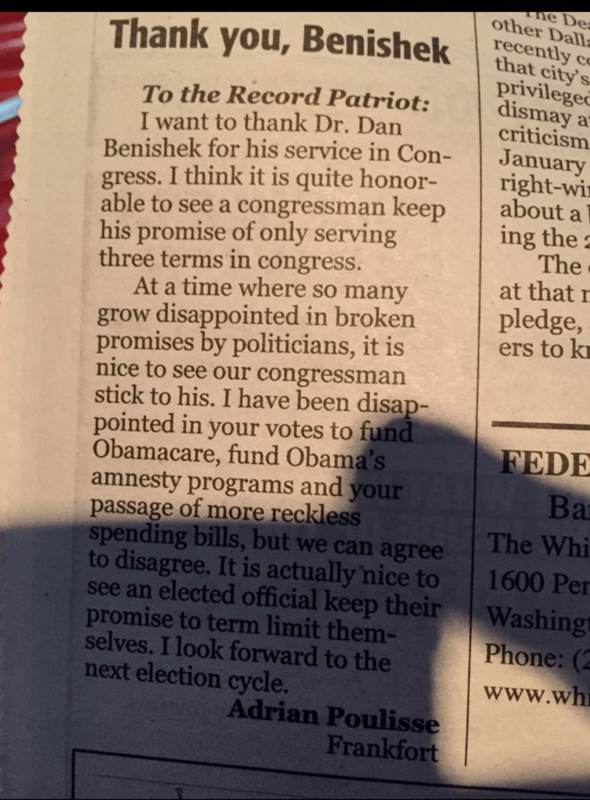 Adrian Poulisse, the former first congressional district secretary and vice chair isn’t holding back with an open letter to the congressman from the first district through the local paper. Recalling the promise that Congressman Dan Benishek made to call it quits after three terms, he wanted to make sure that the Michigan Republican representative knew he (Adrian) was appreciative of such commitment and integrity. It takes a big man to quit while he’s behind. Will Momentum Cause Freak Out In The First District? Paging Dr Dan Paging Dr Dan - you're needed on the campaign.. STAT! One of the surprise campaigns of the year might be in Northern Michigan where veteran Alan Arcand has just crept up on CD1’s Dan Benishek and gave him a poll wedgie. 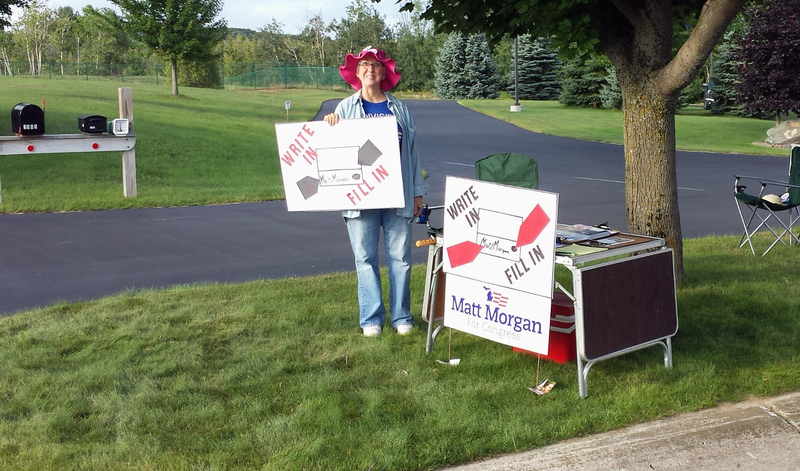 Iron River, MI — The campaign of Republican challenger Alan Arcand today announced the results of three polls conducted over the week of July 28, 2014. Respondent surveys indicate a distinct trend of momentum shifting towards the conservative veteran in the final week leading up to the August 5 primary election. With the favorability rating of Congressman Dan Benishek at an all time low during this campaign cycle, newcomer Alan Arcand is poised for victory against the establishment incumbent. The average of the results over the three-day period, which include 1,875 respondents, reveal the race is neck and neck. 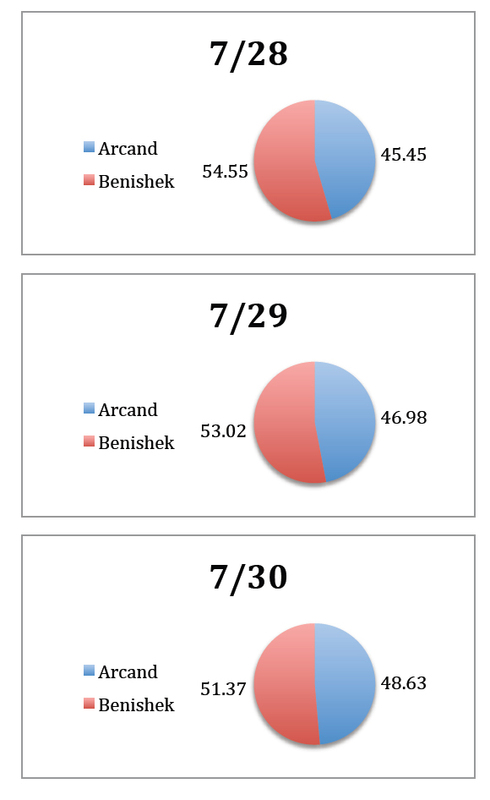 Arcand’s chipping away at Benishek’s fiscally irresponsible voting record has gained him 47% of the vote. The universe of potential survey respondents was geographically proportional to the 2012 Republican primary election turnout, by county. Polling conducted by the independent research group has a margin of error of +/-3.5%. At this point, it shouldn’t surprise. The Heritage rated 50% Benishek campaign has all but ignored Arcand, while he (Arcand) and his family have been working non stop to establish credibility and name recognition. Signs may not win races, but as a political sign watcher, it should be noted that Arcand signs are popping up in locations and businesses normally associated with incumbency. Benishek signs are nearly absent. Aug 5 is going to be fun.